Sunset at Bryce Canyon National Park from Sunrise Point. 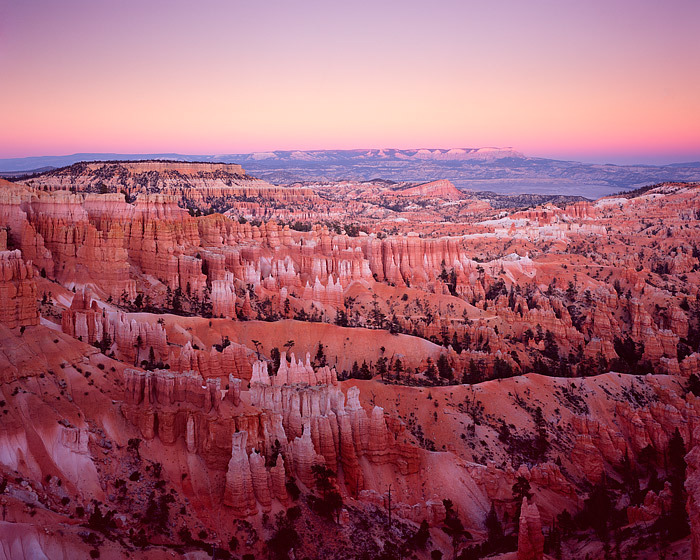 The sun has dipped below the horizon and the Earth's shadow can be seen above the Hoodoo's of Bryce Canyon. Photo © copyright by Thomas Mangan.